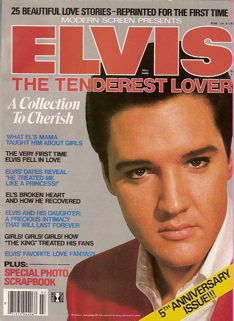 item #M111: “Modern Screen Presents Elvis The Tenderest Lover” | Sterling Publications | 1982 | 90 pages | Theme: Elvis’s love life: 25 articles. item #M113: “The Early Years No. 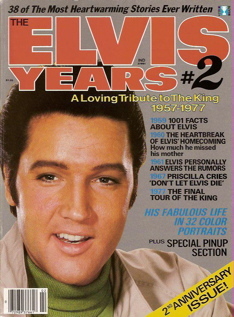 2” | Sterling Publications | 1979 | 122 pages | Theme: Elvis magazine articles: 38 articles | includes 32 color photos. item #M114: “Movie Mirror Presents Elvis The True Facts No. 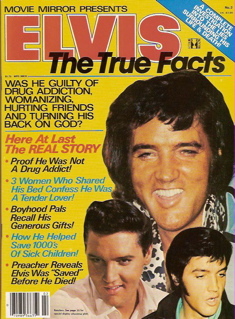 2” | Sterling Publications | 1981 | 66 pages | Theme: Elvis controversies: 23 articles. 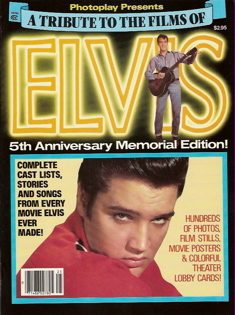 item #M116: “Photoplay Presents A Tribute to the Films of Elvis Presley” | Cadrant Enterprises | 1982 | 98 pages | Theme: Elvis movies | includes information and photos from all 33 Presley films. 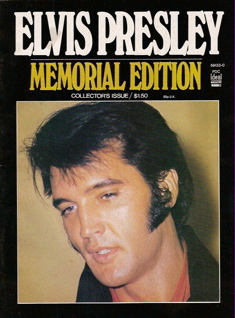 item #M120: “Elvis Presley Memorial Edition” | Ideal Publishing | 1977 | 82 pages | Theme: Remembrances of Elvis: 14 articles. 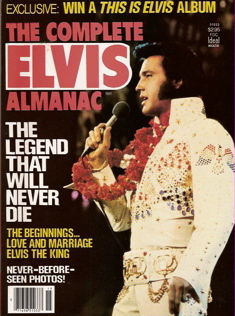 item #M121: “The Complete Elvis Almanac” | Ideal Publishing | 1981 | 82 pages | Theme: Elvis’s life story: 8 chapters.